baggy-pants comic/actor Ed Wynn was born in Philadelphia. (Isaiah Edwin Leopold) Emmy Award-winning actor: The Ed Wynn Show ; All Star Revue, Mary Poppins, Ziegfeld Follies, Marjorie Morningstar, The Diary of Anne Frank, Cinderfella, Babes in Toyland, The Absent-Minded Professor; actor Keenan Wynn’s father. He was a star on early bigtime radio, and 25 years later was one of the first comics to hit it big in TV. He died June 19, 1966 at age 79. On this day in 1895, George D. Hay, the founder of the “Grand Ole Opry,” was born in Attica, Indiana. While he was an announcer at W-L-S in Chicago, Hay helped begin the “National Barn Dance” program. He then moved to W-S-M in Nashville, where he started a similar barn dance program in 1925. The “WSM Barn Dance” officially became known as the “Grand Ole Opry” two years later. Hay so named the program because it followed a broadcast by the NBC Symphony. He was largely responsible for developing the Opry into country music’s premiere showcase. Hay was elected to the Country Music Hall of Fame two years before his death in 1968. In 1913, actress Hedy Lamarr was born Hedwig Eva Maria Kiesler in Vienna Austria. actress: Algiers, White Cargo, Samson and Delilah, Ziegfeld Girl; died Jan 19, 2000 at age 86. In 1922, actress Dorothy Dandridge was born in Cleveland. Island in the Sun, Carmen Jones; died Sep 8, 1965 at age 42 from an accidental overdose of an antidepressant. 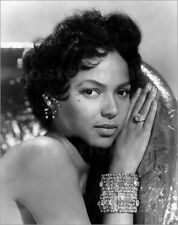 Her short, tragic life was portrayed by Halle Berry in the award-winning 1999 HBO film, Introducing Dorothy Dandridge. In 1925, the three day Fourth National US Radio Conference began in Washington, D.C. During the year since the previous conference, the number of US stations with 500 watts or more had nearly doubled from 115 to 197. In 1930, sportscaster Charlie Jones was born in Fort Smith, Arkansas. For more than 30 years he called NFL football for NBC Sports. He also broadcast baseball, golf, tennis, track & field at the Olympics, and soccer. Jones died June 12 2008 at age 77. 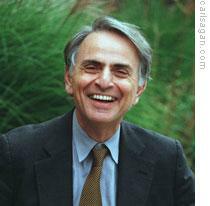 In 1934, astronomer/author Carl (Edward) Sagan was born in Brooklyn. Pulitzer Prize-winning author: The Dragons of Eden ; Shadows of Forgotten Ancestors, Broca’s Brain, Cosmos; astronomer: “Billions and billions of stars…”; died Dec 20, 1996 at age 62. 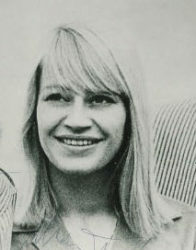 In 1936, singer Mary Travers was born in Louisville Kentucky. Mary of Peter, Paul and Mary: Leaving on a Jet Plane, Blowin’ in the Wind, Puff the Magic Dragon, I Dig Rock ‘n’ Roll Music; solo: LP: No Easy Walk to Freedom. She succumbed to leukemia Sept. 16 2009 at age 73.
made her sensational Broadway stage debut in the musical comedy Leave It to Me. In the 50’s she made an indelible mark on TV in Rodgers & Hammerstein’s musical Peter Pan. rhythm guitarist with Creedence Clearwater Revival, was born in Berkeley, California. CCR had been together under various names since 1959, but didn’t hit the big time until 1969 with their double-sided million-seller, “Proud Mary” and “Born on the Bayou.” Creedence became the leading American singles’ band on the strength of such hits as “Bad Moon Rising,” “Green River” and “Travelin’ Band.” Tom Fogerty left C-C-R in 1971, and later recorded several solo albums. The group disbanded in 1972. 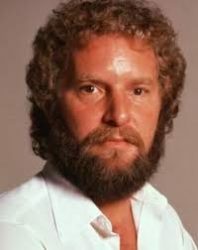 Tom Fogerty died of respiratory failure September 6th, 1990 at age 48. In 1948, “This is Your Life” debuted on NBC radio. hosted the radio show for two years and for nine more (1952-1961) on television. Also in 1955, the Everly Brothers made their first studio recordings, cutting four country tracks in 22 minutes, at studios in Nashville.The session yielded no hits and within months the duo was dropped from the Columbia label. In 1956, Buddy Holly embarked on his first tour as a solo act, opening for country headliners George Jones, Hank Thompson, Cowboy Copas and Hank Locklin. Also in 1956, Marvin Rainwater recorded what would be his biggest hit, the MGM single “Gonna Find Me A Bluebird”/”So You Think You’ve Got Troubles,” at Owen Bradley’s studio in Nashville. In 1958, the “Hound Dog” single by Elvis Presley on RCA Victor exceeded three million copies sold in the USA, becoming only the third single ever to do so. Bing Crosby‘s ‘White Christmas’ & ‘Rudolph The Red Nose Reindeer’ by Gene Autry were the other two. 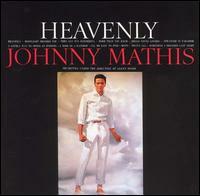 In 1959, Johnny Mathis started a five-week run at No.1 on the US album chart with ‘Heavenly’. Also in 1959, singer Sam Cooke was guaranteed $100,000 by RCA Victor if he would sign with them after his current contract with the Keen label expired. In 1960, Hank Locklin was inducted as the newest member of the Grand Ole Opry. In 1961, Brian Epstein saw the Beatles play for the first time, at one of their lunchtime sessions at the Cavern Club in Liverpool. He became interested in the group after a customer in his record store inquired about a German import single of the Beatles backing singer Tony Sheridan on “My Bonnie.” Epstein soon became the Beatles’ manager, cleaning up their greasy, Teddy Boy image with collarless grey suits and the now familiar Beatle haircuts. was installed as the first living member of the Country Music Hall of Fame. Also in 1962, The Miracles released their future Top 10 single “You’ve Really Got a Hold on Me” on the Tamla label. In 1963, the Kingsmen‘s soon-to-be-#1 hit, Louie Louie, entered the Billboard Hot 100. 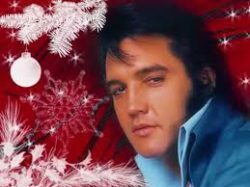 In 1964, RCA Victor released an Elvis Presley single “Blue Christmas” b/w “Wooden Heart,” two album tracks cut in earlier years. In 1966, John Lennon met Yoko Ono for the first time when he visited her art exhibition ‘Unfinished Paintings and Objects’ at the Indica Gallery in London. However their romance did not begin until two years later. In 1967, Roger McGuinn fired David Crosby from the Byrds following arguments over the group’s musical direction. Crosby went on to stardom with Stills, Nash and Young. Crosby’s replacement was former Byrd member Gene Clark, who lasted only three weeks this time. 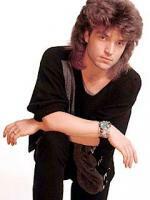 Clark was afraid of flying, making it difficult for him to tour with the group. Also in 1967, the first issue of Rolling Stone magazine was published in San Francisco. In 1968, big-voiced actor Gerald Mohr suffered a fatal heart attack at age 54. 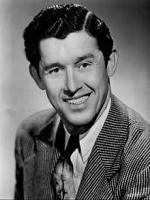 He had logged 4,000 radio appearances, including the title role in 119 episodes of The Adventures of Phillip Marlowe. He also had more than 100 TV acting credits of all stripes. In 1973, Cat Stevens made his national TV debut on ABC’s late-night “In Concert” series. The 90-minute broadcast also featured Dr. John and Linda Ronstadt. Also in 1973, Billy Joel released the “Piano Man” album, his first for the Columbia label. Still in 1973, the Grateful Dead played the first of their three nights at the Winterland Arena in San Francisco. In 1974, Bachman Turner Overdrive went to No.1 on the Billboard singles chart with ‘You Ain’t Seen Nothin’ Yet’, the Canadian group’s only US chart topper. Also in 1974, Carole King scored her third US No.1 album with ‘Wrap Around Joy’. 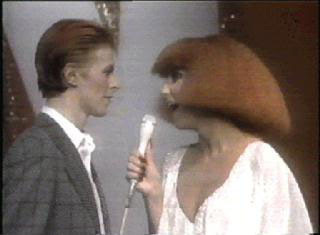 In 1975, David Bowie appeared on Cher’s CBS-TV variety show. 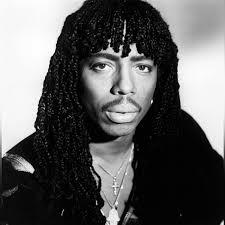 In 1977, the Donna Summer single “I Feel Love” was certified as a Gold Record. In 1978, during their Jazz North American tour Queen played the first of two nights at the Cobo Arena in Detroit. In 1984, actress Donna Reed joined the cast of Dallas as J.R. Ewing’s new mamma, on CBS-TV. This was Reed’s first return to television since her own successful show ended in 1966. However radiantly beautiful, Reed would not score well with viewers who had become attached to Barbara Bel Geddes as Miss Ellie. Reed was written out of the script and Bel Geddes returned in 1985. In 1986, ABC Television broadcast Walt Disney World’s 15th birthday celebration, featuring the Monkees, the Everly Brothers, Dolly Parton, Ray Charles, Gladys Knight and Air Supply. In 1989, the three surviving Beatles, their record company Apple, Yoko Ono and E-M-I Records announced the settlement of a nine-year legal battle over royalties. Terms were not disclosed. The lawsuit began in 1980 when Paul McCartney signed a contract with E-M-I, giving him a larger share of the Beatles’ recording royalties than either George Harrison or Ringo Starr. The resolution of the suit prompted renewed speculation that the three would reunite. 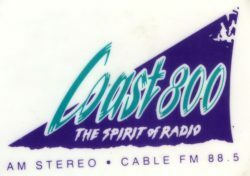 In 1990, Vancouver’s CKST COAST 800 switched to a “modern rock” format after numerous unsuccessful reinventions on AM 800 in Langley. Veteran DJs John Tanner and J.B. Shayne joined program director David Marsden in launching the new format with “The Beaten Generation” by The The. Also in 1990, the US internal revenue seized all of singer Willie Nelson‘s bank accounts and real estate holdings in connection with a $16 million tax debt. Still in 1990, Madonna released the cleverly-named CD, “The Immaculate Collection,” made up of all her best-sellers. performed five concerts in five U-S cities in a single day. Marx’s blitz to promote his album “Rush Street” included shows at or near airports in Washington, D-C, New York, Cleveland, Chicago and Burbank. The publicity failed to boost sales of the album, which barely made the Billboard top 40.
died in Senlis, France of a heart attack at age 70. Montand was best known in North America for his films, which included “Let’s Make Love,” a 1960 musical with Marilyn Monroe, and the political thriller “Z.” But he was also a consummate song-and-dance performer, who in 1981 became the first variety singer to perform at the Metropolitan Opera in New York. In 1992, Elton John announced the formation of the Elton John Aids Foundation, to be funded by royalties from his singles releases, charity events and business donations. In 1993, singer Whitney Houston told ABC interviewer Barbara Walters that she had a miscarriage during the filming of “The Bodyguard,” in which she starred with Kevin Costner. Houston said she was back on the set the day after the miscarriage. Also in 1993, actress Angie Dickinson became the first person in 500 shows to walk out of a televised “This Is Your Life” tribute. Still in 1993, the Dave Matthews Band released their first album, ‘Remember Two Things’ on the Bama Rags label. was arrested in London on suspicion of possessing cocaine. He was stopped by police only hours after Oasis picked up an award from the British magazine “Q” as the Best Act in the World. Since it was his first offence, Gallagher received only a warning from police and was not prosecuted. Also in 1996, for the first time, Bob Dylan licensed one of his songs, “The Times They Are A-Changin'” for use in commercials by the Bank of Montreal. Still in 1996, Blackstreet featuring Dr Dre started a four week run at No.1 on the Billboard singles chart with ‘No Diggity’. In 1997, actor Michael Lookinland, who played Bobby on “The Brady Bunch,” was arrested for drunk driving in Utah after rolling his Ford Bronco. Also in 1997, The Firm were at No.1 on the US album chart with ‘The Album’, (featuring Nas, Foxy Brown, Az and Nature). suffered a stroke at his home in Los Angeles. The stroke came three days after the 50-year-old performer popped a blood vessel in his neck during a concert in Denver. Doctors said James was the victim of “rock ‘n’ roll neck,” caused by a repeated rhythmic whiplash motion of the head and neck. Also on this date in 1998, Grammy-winning musician Billy Preston was among seven people indicted in Los Angeles for fraudulent insurance claims. They were alleged to have set fire to their own homes and staged burglaries and car accidents. Preston was already in prison for violating probation for a cocaine possession conviction. In 1999, Gary Glitter appeared in a English court charged with seducing and sexually humiliating a 14 year-old girl. The charges related back to 1980. Also in 1999, the Recording Industry Association of America (RIAA) announced the century’s big winners: The Beatles were the only performers with 5 albums selling more than 20 million each (106 million), with Garth Brooks and Barbra Streisand the most successful solo singers. Elvis Presley led the way with gold and platinum certifications (77 singles and 80 albums). Elton John‘s “Candle In The Wind ’97” was declared the best-selling single of the century (11 million). The Eagles had the best selling individual album, “Their Greatest Hits 1971-75” (26 million) which had only recently passed “Thriller” by Michael Jackson. In 2003, TV/radio/film great Art Carney died in his sleep at 85 years of age. He had been enormously popular as Jackie Gleason’s sewer-worker pal Ed Norton in the TV classic The Honeymooners. 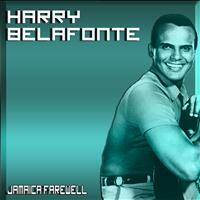 He began as a radio actor, appearing regularly on Gangbusters and The March of Time, among many others. Carney also won the Best-Actor Oscar for the film Harry and Tonto (1974). In 2004, actor Ed Kemmer died of a stroke at age 83. Kemmer played the heroic Commander Buzz Corry in the 1950s children’s sci-fi TV show Space Patrol. He went on to break out of that heroic mold by playing villains in episodes of Perry Mason, Gunsmoke and Maverick. Kemmer also spent 19 years as a regular on TV soaps, such as The Edge of Night, As the World Turns, All My Children and The Guiding Light. In 2006, Ed Bradley, former CBS newsman and 60 Minutes journalist, died from complications of leukemia at age 66. Bradley started with CBS News in 1971 and was shipped to the Saigon bureau during the Vietnam War. He joined 60 Minutes in 1981. His distinctive body of work as a broadcast journalist was recognized with 20 Emmys and many other awards. Also in 2006, in New York David Bowie performed at the Keep A Child Alive organization’s annual Black Ball event, raising money to eradicate the AIDS epidemic plaguing the African continent. In 2007, ex-Mindbenders leader Wayne Fontana was found guilty of arson after setting a police car on fire, then showing up to court dressed as Lady Justice. He was handed an 11-month sentence but was actually released, since he had already spent more than that time following the incident in a mental hospital. In 2008, Kid Rock won both the World’s Best Pop Male Artist and World’s Best Pop/Rock Male Artist prizes at the World Music Awards in Monaco, where he also performed. The Beatles were given a Diamond Award for selling more the 100 million albums worldwide, which Ringo Starraccepted. In 2010, viewers were treated to a late night battle of the bands. Soundgarden made a rare televised appearance on Conan O’Brien’s new show on TBS, playing “Black Rain” and “Hunted. Over on CBS, Bon Jovi performed their single, “What Do You Got,” on The Late Show With David Letterman. Also in 2010, Neil Young‘s music gear, his vintage cars and memorabilia were destroyed in a three-alarm blaze at a warehouse in San Carlos, Calif. Investigators determined the fire originated in Young’s hybrid ‘59 Lincoln Continental, which had been outfitted with electric batteries and a biodiesel-powered generator. The estimated damage was $1 million. In 2011, country music’s Miranda Lambert set a record when for the fourth straight time her new album (“Four the Record”) debuted at #1 on the Billboard country chart. Also in 2011, Bruce Springsteen headlined the Stand Up for Heroes benefit at New York’s Beacon Theatre for the fifth straight year. Springsteen’s guitar was auctioned off at the end of the show for $160,000. In 2012, English actor Bill Tarmey, who for almost three decades played Jack Duckworth on TV’s Coronation Street, died at age 71. A lifelong smoker, he refused to give up the habit even though he had for years been beset with heart problems. On this day in 2013, longtime Chicago radio deejay Carla Leonardo succumbed to acute myeloid leukemia at age 63. Over 35-years her upbeat personality had been heard over 3 popular FM stations, frequently spotlighting local bands. On this day in 2014, Black Tusk bassist Jonathan Athon died due to injuries sustained in a motorcycle accident. He was pulled from life support after it was determined that he had irreparable brain damage. On this day in 2015, Scottish-born Andy White, a top session drummer in England during the 1960s who stepped in for newcomer Ringo Starr as the Beatles recorded their debut single “Love Me Do,” died after a massive stroke at age 85. 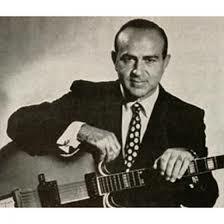 On this day in 2016, Al Caiola, a versatile studio guitarist who recorded with Frank Sinatra, Simon & Garfunkel, Johnny Mathis, Barbra Streisand and Bobby Darin, and had his own hits with the theme songs from Bonanza and The Magnificent Seven, died at age 96. On this day in 2017, actor John Hillerman, best known for his co-starring role as Jonathan Quayle Higgins III on CBS-TV’s Magnum, P.I. from 1980 to 1988, died of cardiovascular disease at age 84. Also in 2017, Fred Cole, the Portland punk mainstay from Dead Moon, Pierced Arrows, and several other bands, died of liver disease at age 69. In 2018, comedian Sarah Silverman was on hand to help unveil her new star on the Hollywood Walk of Fame. Actor Charles Robinson (Night Court, Hart of Dixie, Mom, Love & War) is 73. Actor/voicist Robert David Hall (CSI, The Littles) is 71. Former model/actress Kelly Harmon (The Young & the Restless) is 70. Actor Lou Ferrigno (The Incredible Hulk, The King of Queens) is 67. Actress Karen Dotrice (Upstairs Downstairs) is 63. Actor Thomas F. Duffy (Days of Our Lives) is 63. Actor Tony Slattery (Kingdom, Coronation Street) is 59. Gospel singer Donnie McClurkin is 59. Drummer Dee Plakas of L7 is 58. Vancouver-born actress/voicist Teryl Rothery (Cedar Cove, Gadget & the Gadgetinis, Stargate SG-1) is 56. Actor/TV director Robert Duncan McNeill (Star Trek: Voyager, Desperate Housewives, Going to Extremes) is 54. Salt-N-Pepa singer/actress Sandra “Pepa” Denton (Let’s Talk About Pep, Oz) is 49. Rapper Scarface of Geto Boys is 49. Toronto-born actress Ramona Milano (Due South, Degrassi: Next Generation, Cra$h & Burn) is 49. Winnipeg-raised pro wrestler/actor Chris Jericho (WWF Raw, WWE Smackdown) is 48. Musician/singer Susan Tedeschi is 48. Actor Jason Antoon (No Ordinary Family, Electric City) is 47. Actor Eric Dane (Nashville, Grey’s Anatomy) is 46. Vancouver-born actress Gabrielle Miller (Corner Gas, Call Me Fitz, Robson Arms) is 45. Toronto-born actress/voicist Alyson Court (Mike the Knight, Kia & Me, The Amazing Spiez, Beetlejuice) is 45. 98-Degrees singer/TV host Nick Lachey (Dancing With the Stars,The Sing-Off, Newlyweds: Nick & Jessica) is 45. Actress Ion Overman (Wisdom of the Crowd, Ghost Whisperer, General Hospital, Port Charles) is 42. Singer Sisqo (Dru Hill) is 40. Actor Cory Hardrict (Lincoln Heights, Tia and Tamera) is 39. Actor Oliver Ackland (The Originals) is 39. TV host/actress Vanessa Lachey nee Minnillo (Dancing With the Stars, Truth Be Told, Dads, Entertainment Tonight, Bold & the Beautiful) is 38. Pastry chef/TV personality Christina Tosi (Masterchef, Unique Sweets) is 37. Actress Scottie Thompson (Trauma, NCIS) is 37. Vancouver-born actress Elysia Rotaru (Arrow, Chose Your Victim, Finding Mrs. Claus) is 34. Singer/songwriter/actress Delta Goodrem is 34. Country singer Chris Lane is 34. Actress Taylor Saracho (Connected) is 31. Actress Nikki Blonsky (Huge, Valemont, Queen Sized) is 30. Actress Analeigh Tipton (Manhattan Love Story, Hung) is 30.